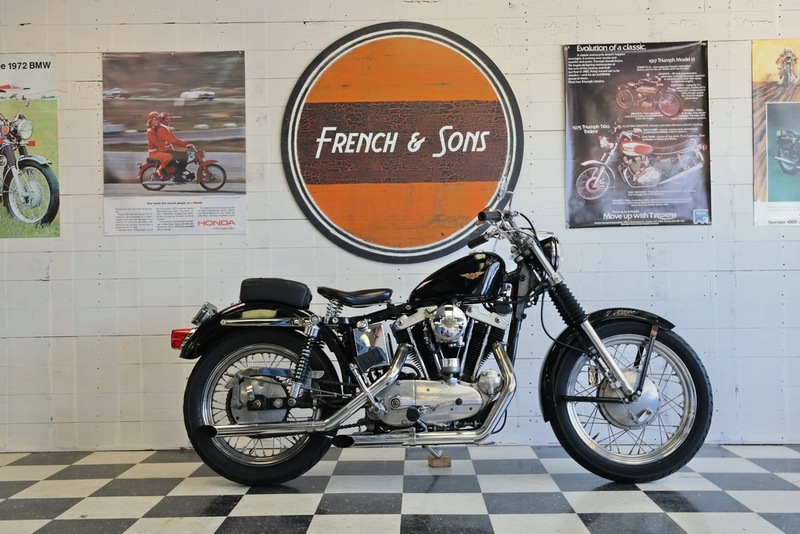 With "Competition" Frame/Motor numbers, this 70s Sportster is quite the head-scratcher. Racers use to do some funny things when it came to VINs and race rules and regulations, so it is interesting to think about the mysterious back story on this bike. The bike has clearly been customized at least a few times in its life, but the seller has done what you see in the pictures below. He has done everything right. When he got the bike, someone had dressed it up as a Big Twin with large skirted fenders, large fuel tank...etc. 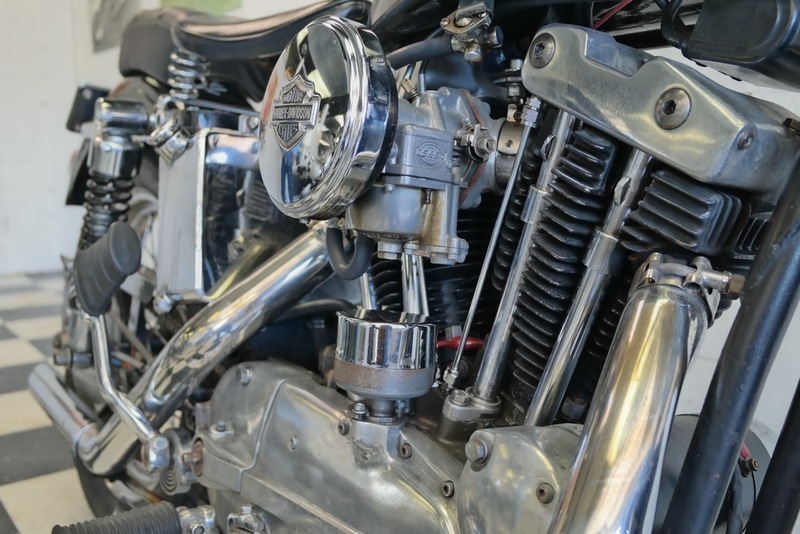 He replaced all of those pieces with correct Sportster parts. The aesthetics and condition are obviously great, as apparent in the pictures, but the best part about this bike is without a doubt how it runs. It is set up perfectly. Everything from where clutch lets out, to responsiveness, to even the kick stand swinging out and tucking back in... the bike is ready to roll. While riding it there is no doubt that it is a 40ish year old bike, but everything is so tight and put together so well that it feels almost like new. It is kick-start only, so be ready to draw some crowds when you're ready leave anywhere.